The Tennessee Library for the Blind and Physically Handicapped is now the Tennessee Library for Accessible Books and Media. The name change became official March 9. The library often leads the nation in how it reaches patrons who sometimes need more specialized service than their local library is able to provide. In 2016, library staff received national attention for developing a first-of-its-kind “Virtual Story Time” program as a way to reach people with disabilities who may never visit a public library. "Working with the Secretary of State's office we have renamed the Library for the Blind and Physically Handicapped. As society evolves so does the language we use and how we think and speak about people with disabilities. The antiquated language no longer reflects the citizens that utilize this wonderful community resource. I'm looking forward to seeing the new Tennessee Library of Accessible Books and Media," said sponsor Rep. Darren Jernigan (D-Old Hickory). 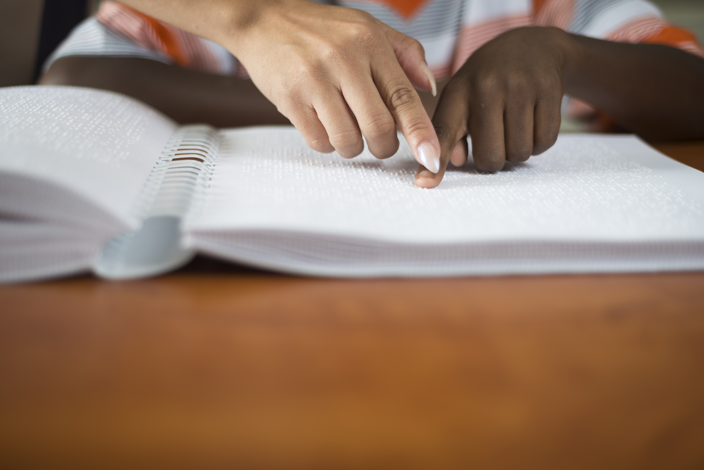 The library offers a collection of more than 150,000 recorded, large print and braille materials to Tennessee residents who cannot use standard print materials due to a visual or physical disability. The library partners with the National Library Service at the Library of Congress (NLS) to administer the free service. In 2017, 350,696 items were loaned out to Tennesseans living with a visual impairment. The Library for Accessible Books and Media is part of the Tennessee State Library and Archives located at 403 Seventh Ave. N in downtown Nashville, just west of the State Capitol. Both will move to a new facility in late 2019, which is currently under construction on Bicentennial Mall. The new building will be much more accessible for patrons with disabilities.